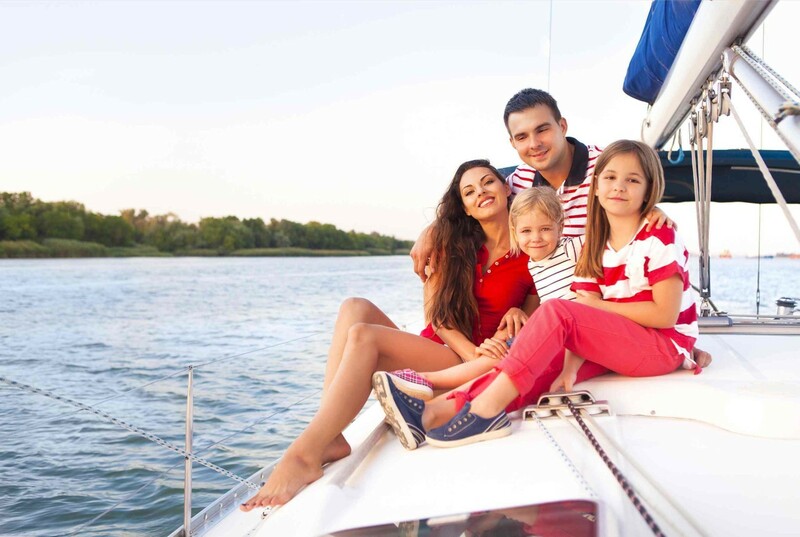 Dedicated to families and created by our best BeBlue Skippers who are also dads. 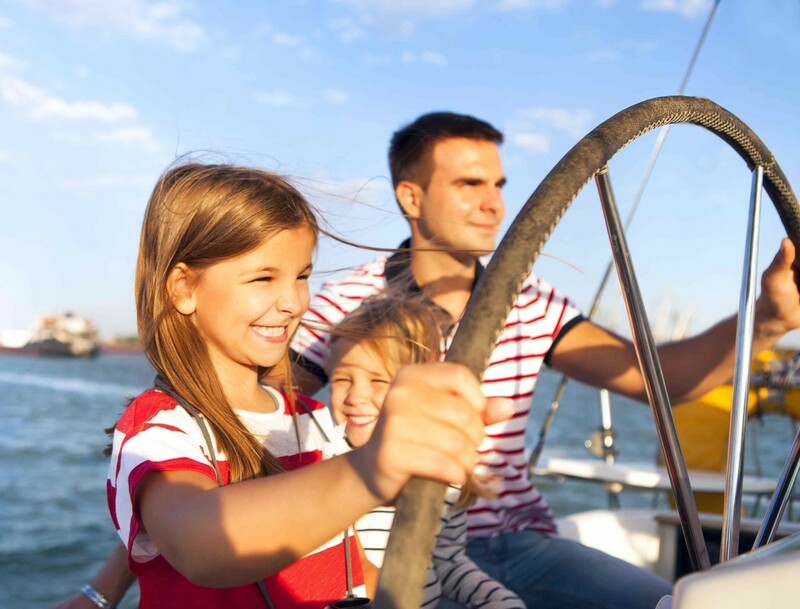 A safe and tested itinerary among the islands of South Croatia, low winds and blue sea to introduce your kids to the magic world of sailing. 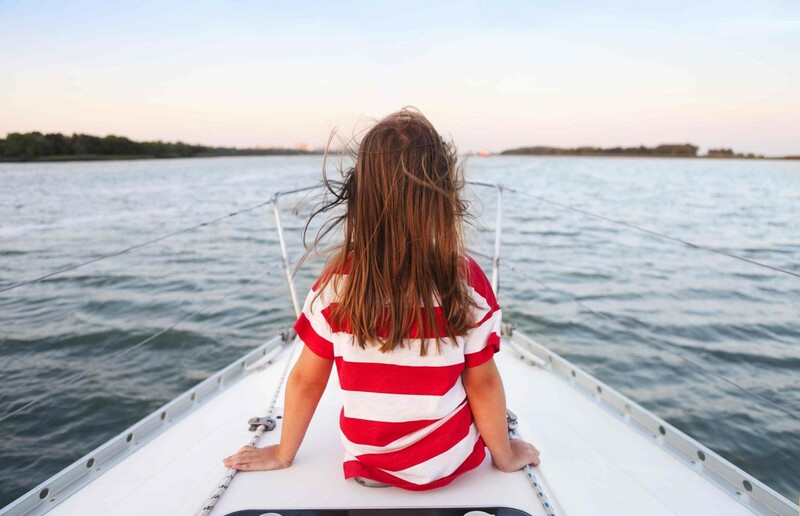 On spacious boats, equipped to host little guests and provided with every comfort, you can relax in peaceful bays and get lost in the enchanted Dalmatian coastal villages. 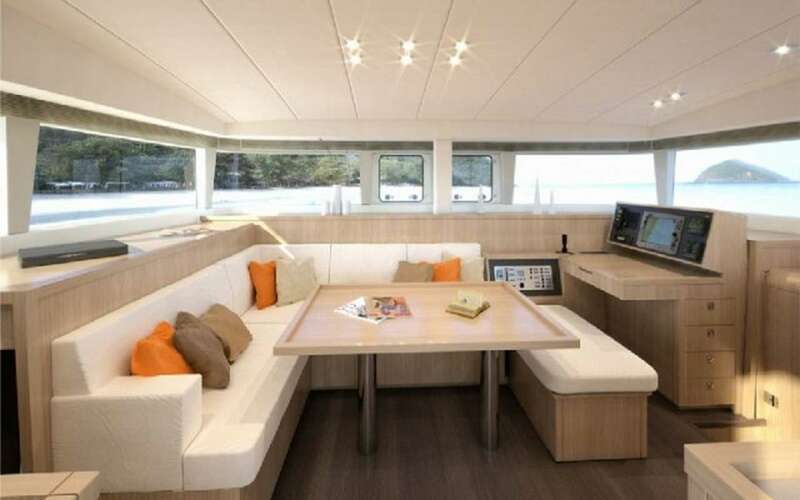 €800 per adult (€600 per kids: maximun one kid per adult) in double cabin. The cruises are available in the weeks of August. Contact us to the check the availability of other dates. 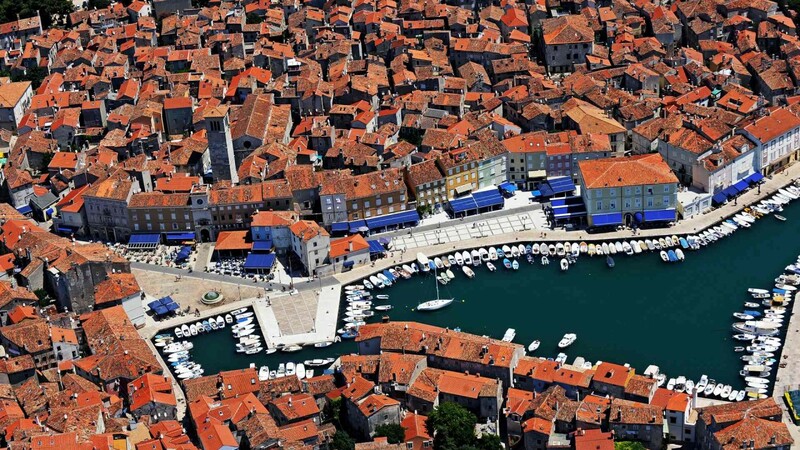 Choose the 7 days you prefer, or stay on board for 14 days to explore the islands of South Croatia with us. 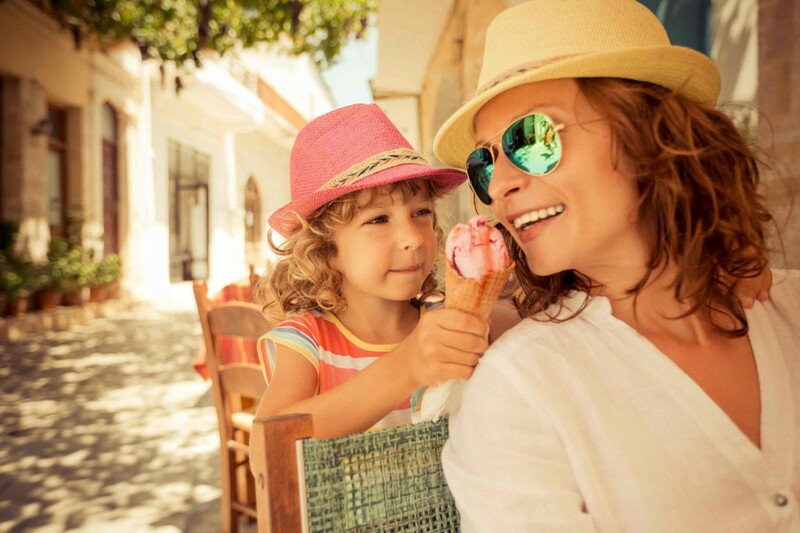 There are two itineraries for this holiday: NORTH and SOUTH: times and types of the stops will be targeted to the needs of the little ones to guarantee safety, harmony and fun for the whole family. 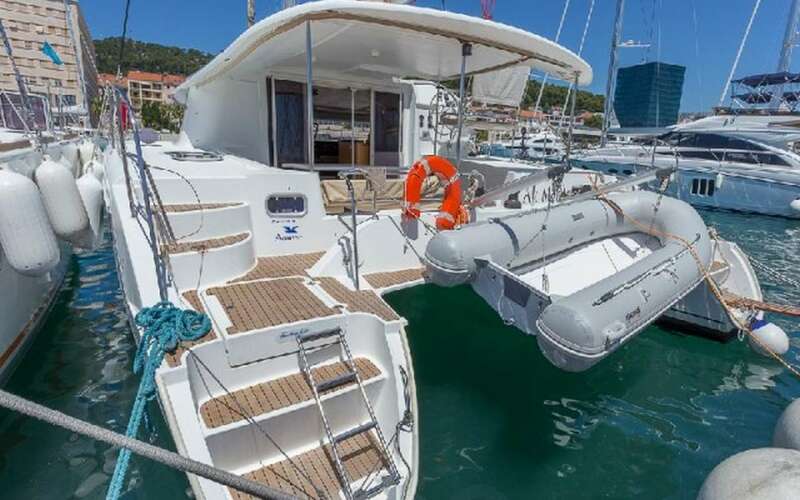 On Saturday afternoon, from 5 pm, your BeBlue skipper will welcome you at the Baotic Marina in Trogit-Split so that you can take your place in the cabin, prepare the shopping list for the trip and go shopping. In the evening, the skipper and the guests will have the opportunity to get to know each other in front of a fish dish in a typical Konoba, before concluding the evening in one of the many bars of this seaside town. After a breakfast with sea view into the blue and before heading for Mana, we dedicate this relaxing Monday morning to the sun and the sea. After a beautiful sailing trip, we will find the enchanting beaches of the Šibenik islands waiting for us, ready to light up our lunch break at anchor. 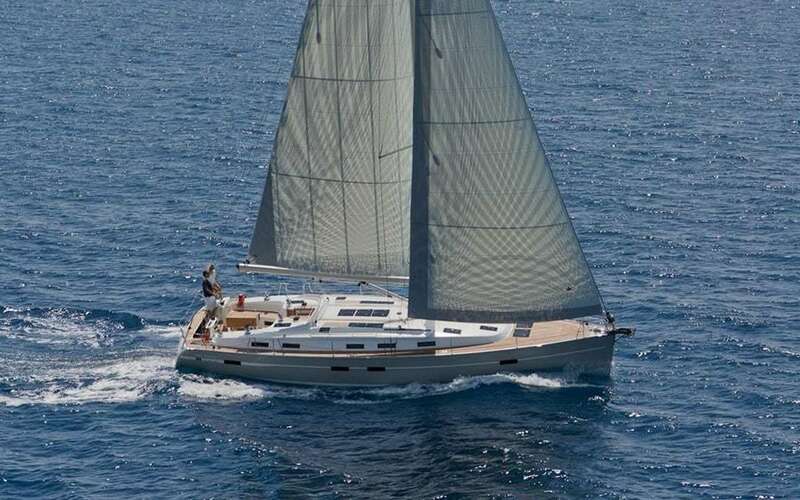 After lunch, we trim the sails and head for some wild bay where, in absolute silence and peace, we will spend the evening and the night cuddled by the sea. 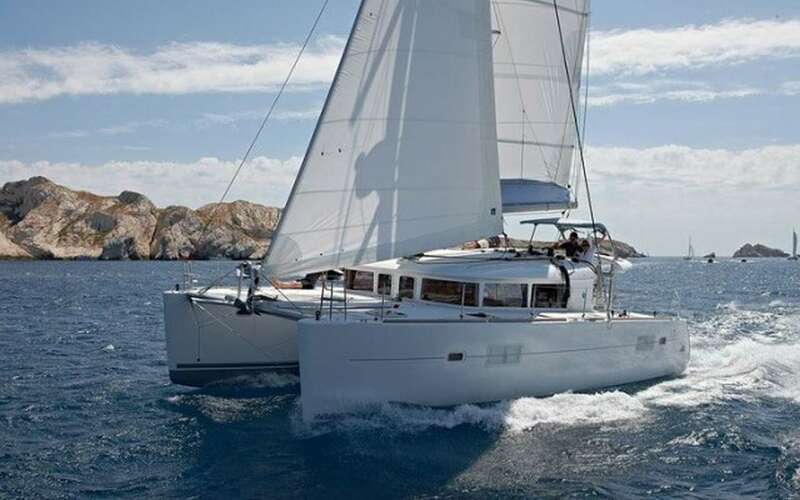 After a rich breakfast, we set sail to reach the island of Mezanji: we continue our exploration with the discovery of the Kornati Islands, a wonderful and uncontaminated natural park that includes the biggest archipelago in the Mediterranean. With its 89 islands, islets and ravines all worth discovering, you will have the opportunity to go snorkeling in its crystal clear waters and explore old bunkers and hidden caves in total safety. 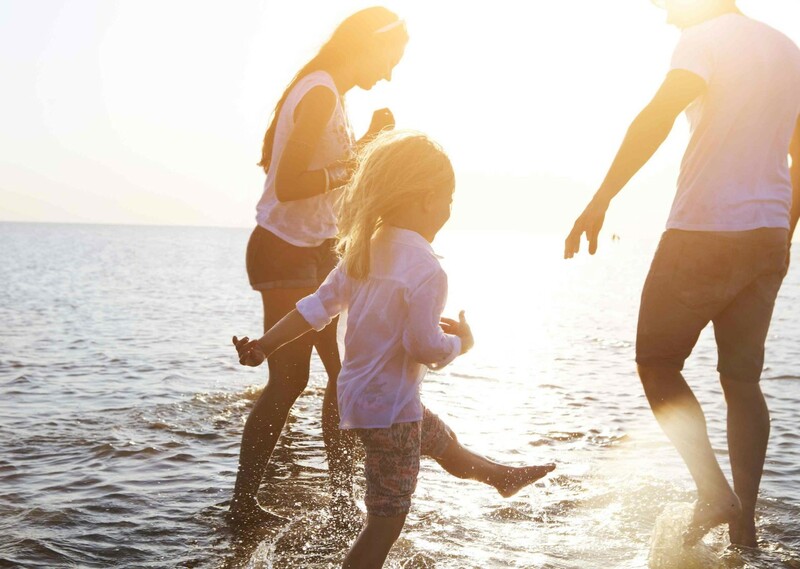 A perfect scenery to explore with your little ones. In the evening, we will enjoy the sunset in the natural park of Telasnika, south of the island of Dugi Otok, which will make you discover colors never seen before. Breakfast with the captain before heading south! 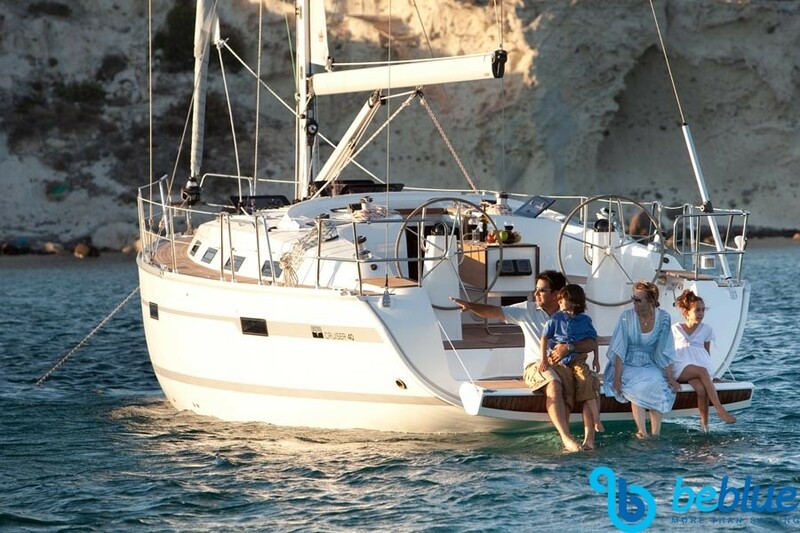 You can play with the boat, tacking in front of the Kornati Islands and enjoying a priceless natural landscape from the sea. 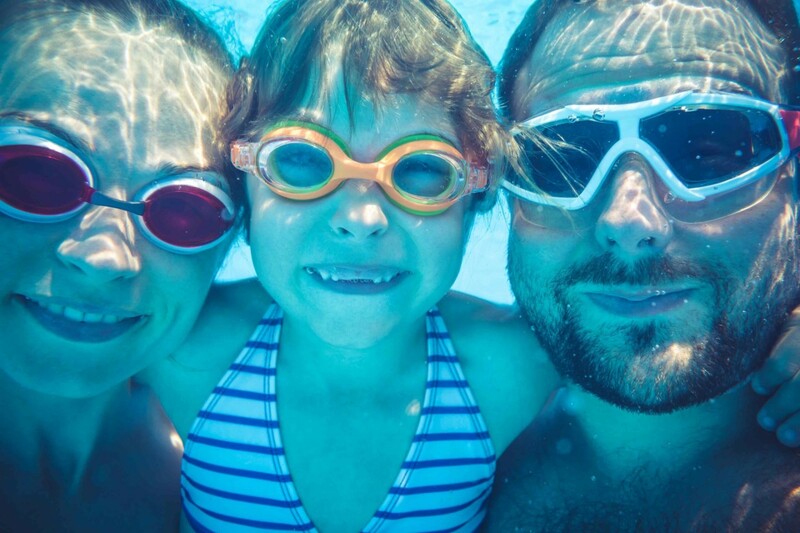 A special occasion for fun and activities for the little ones… but not just for them! 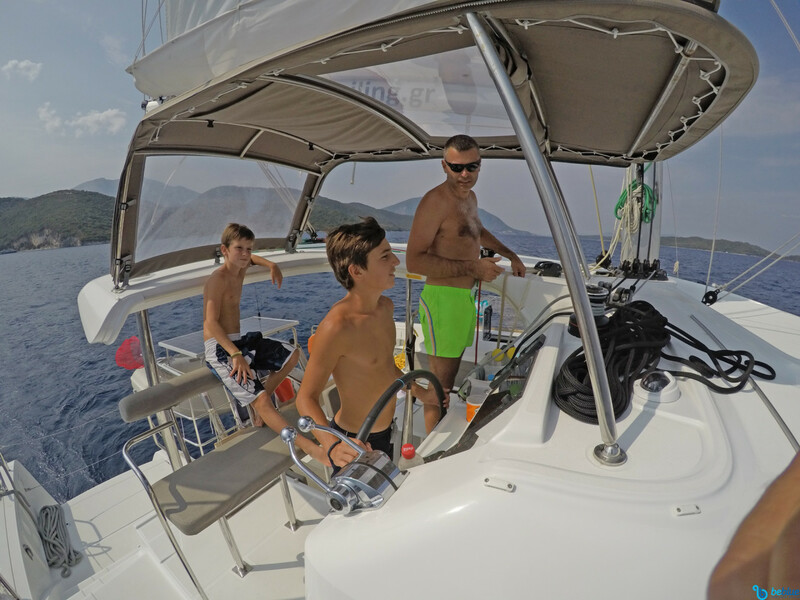 Lunch break at anchor, dives, games and relax before mooring among Zirje, Kaprje, Kakan and the other islands that can offer us a safe and quiet dock for the night. You only have the choose the place you prefer! The sun illuminates the small port of the island and the perfume of coffee knocks on the cabin door: breakfast on board or ashore with the fresh brioches of the local bakery, and then we set sail in the direction of Split. A few miles away, we will anchor into the blue, in front of an ancient olive grove. Lunch break on board and straight towards one of the many deserted bays where we can spend the afternoon playing with our little sailors and preparing the dinner for a night under the starry sky. Time flies, it’s Friday and the disembarkation point is near. 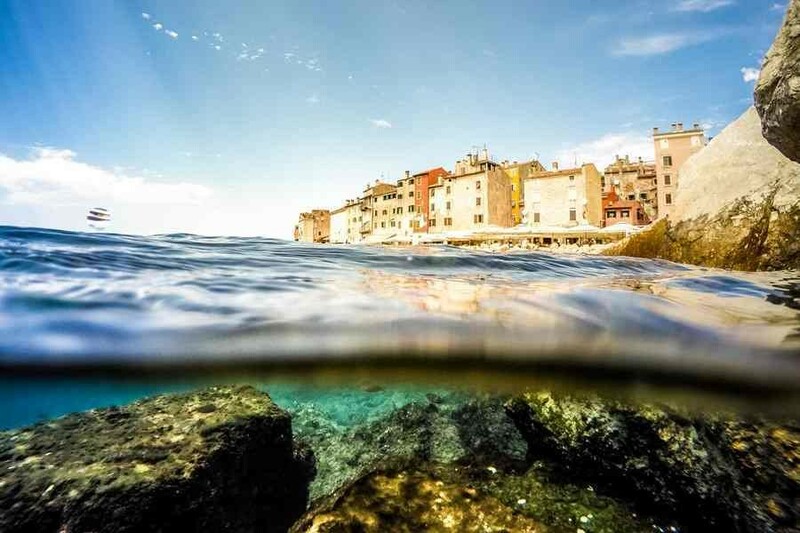 We dedicate the day to relax, sunbathing and swims, to take home some salt from the Adriatic Sea. 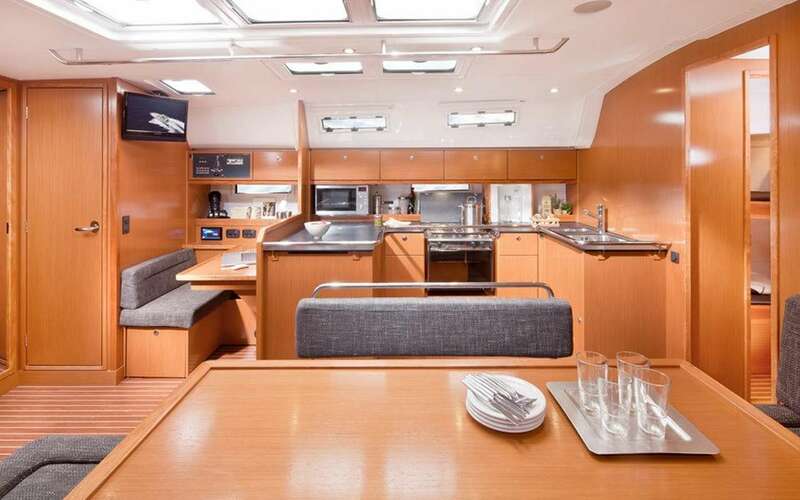 There will be time for another anchorage in a bay with lunch on board, and for enjoying the last sun rays before going back to the Marina, around 6 pm. 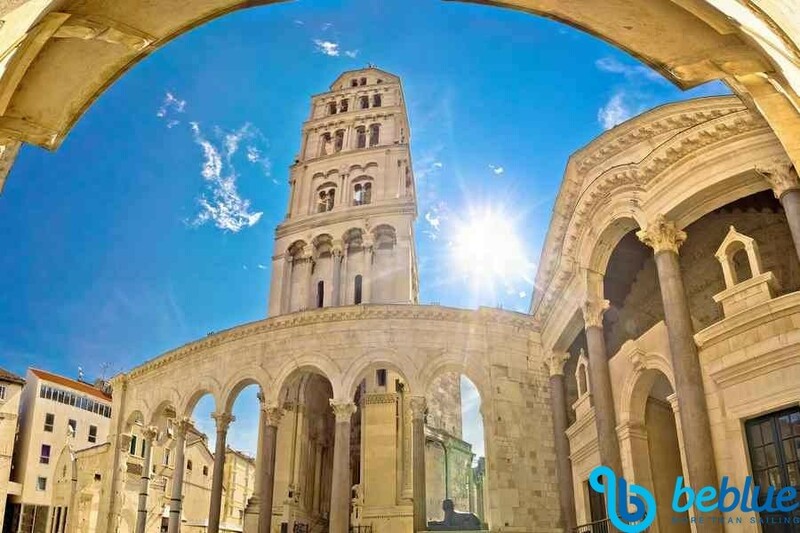 Free evening for finding the last souvenir, trying delicious specialties and listening to some good music while enjoying the beautiful views of the seaside town of Split. Disembarkation will take place around 9 am on the following morning, after breakfast. 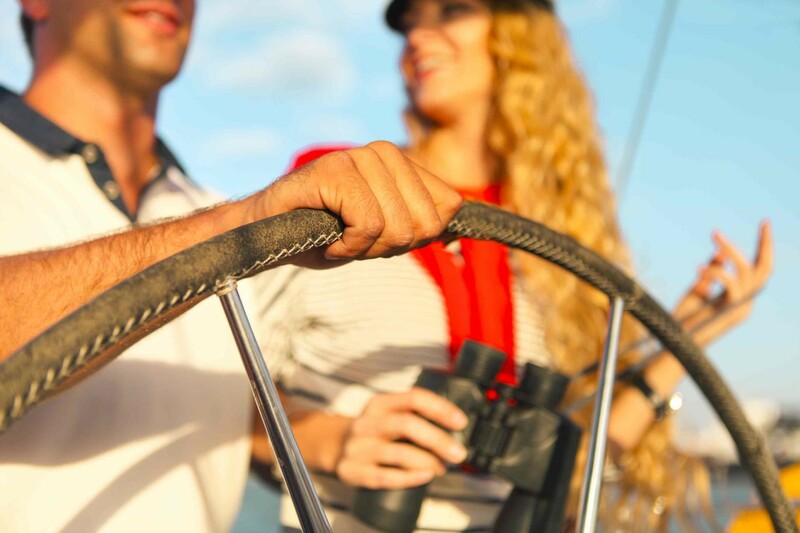 On Saturday afternoon, starting from 5 pm, your BeBlue skipper will welcome you at the Baotic Marina in Trogir-Split so that you can take your place in the cabin, prepare the shopping list for the trip and go shopping. We set sail in the early morning, heading south-west towards the island of Solta, full of safe docks for our lunch break and the night. 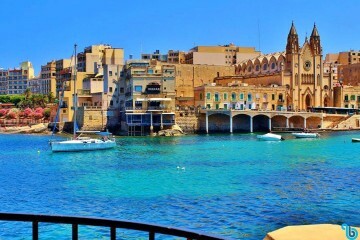 You can make a stop in the beautiful coastal town of Stomorska, located on the northeastern side of the island and known for the nice dock and the beautiful walk on the seaside with many little restaurants, cafes and little shops. 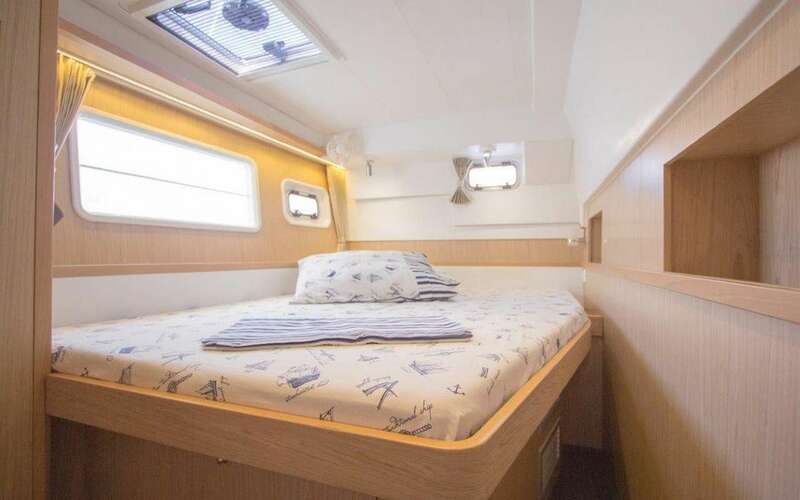 Alternatively, you can anchor in total relax in isolated bays immersed in nature, like Necujam Bay, where you can find crystal clear water and one of the most beautiful and biggest beaches in Solta. 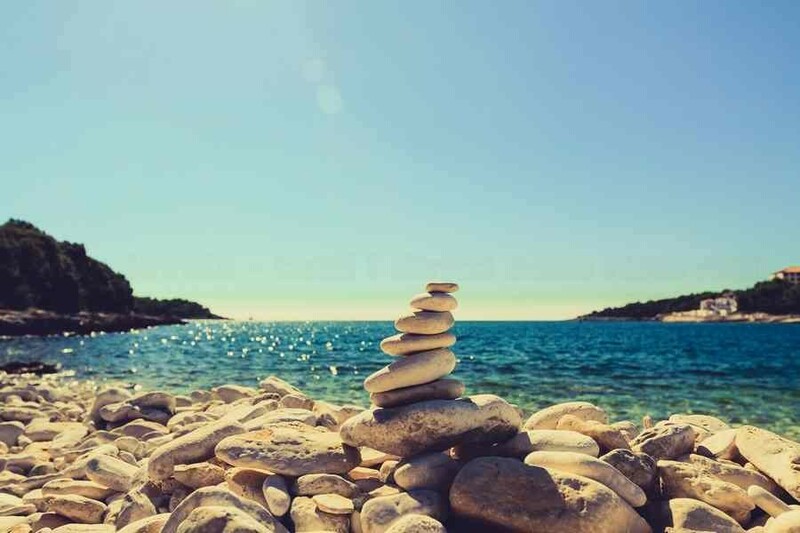 Certainly the most fashionable and fascinating of the islands in Central Dalmatia, Hvar is famous for the architectural harmony of the little villages around its coasts, the rich nature and the beautiful bays with sand beaches and white pebbles. 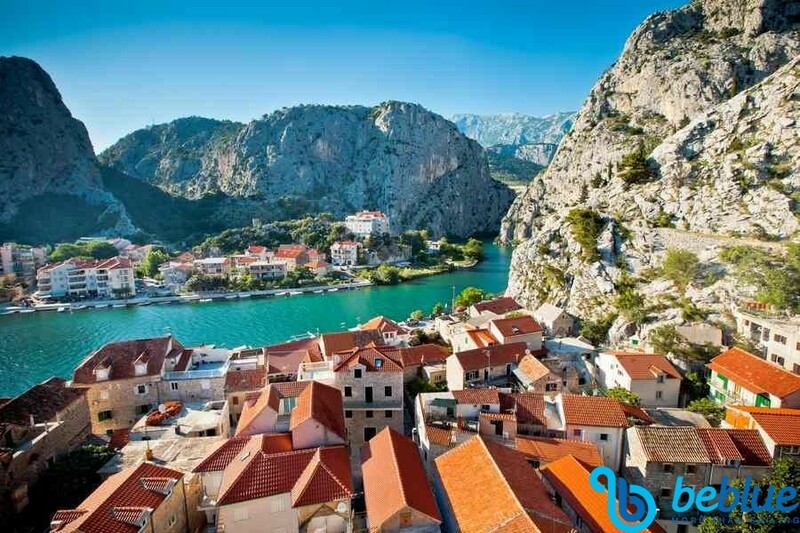 Along the way, you will be able to stop for a visit to the ancient Stari Grad, the exotic Ivan Dolac or the little town of Vrboska, also called “little Venice”. 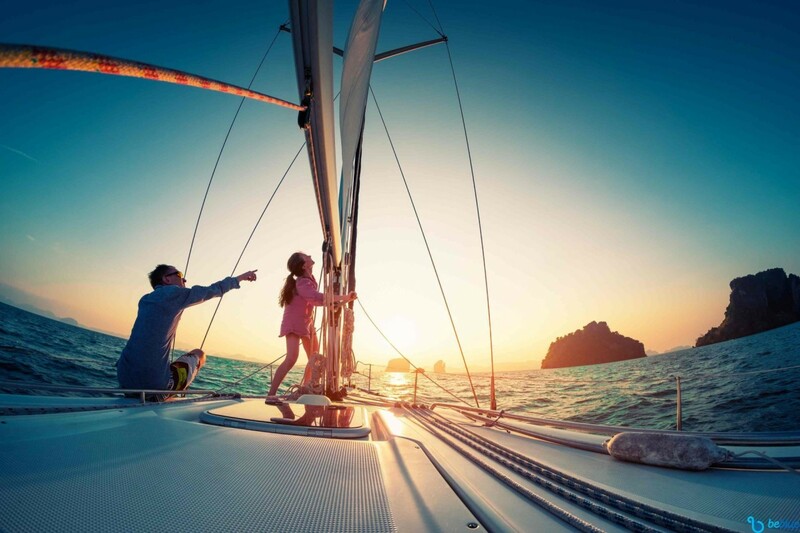 At sunset, you can find peace and relax anchoring in quiet bays, away from the crowd, like the one nearby Sucuraj. 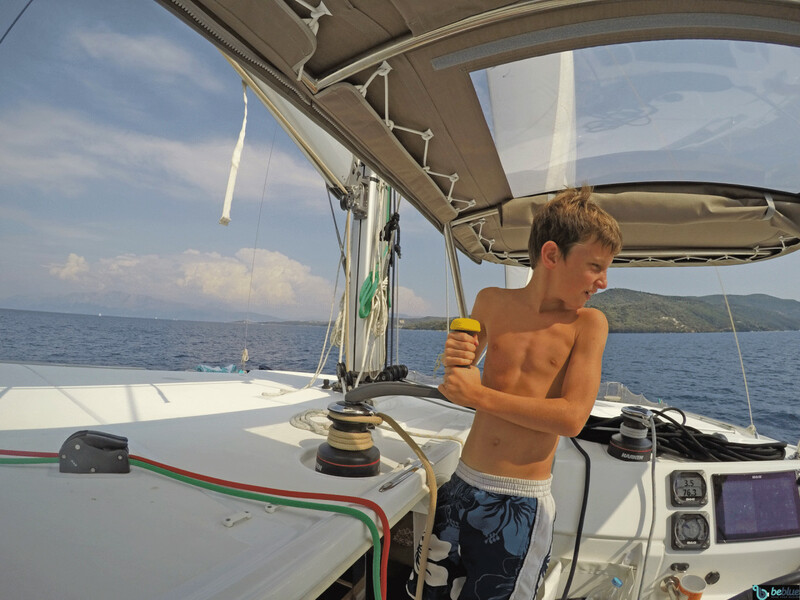 From Hvar, we sail to the west to reach the little archipelago south of Vis and the island of Otok Veli Budikovac. Here you will find an enchanted lagoon with waters of an incredible blue, where you can spend the afternoon diving and snorkeling. In the evening, under the starry sky, you can enjoy the unique atmosphere of this dock, one of the most suggestive in the whole archipelago. We leave from Budikovac to reach the near Vis. 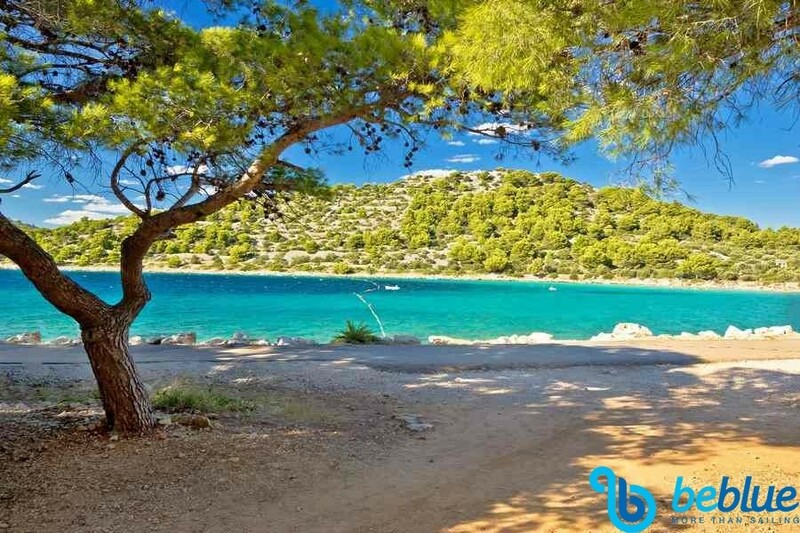 On this little island, you can find a huge variety of beaches and suggestive docks, like the ones of Komiza and Prirovo, where you can have lunch in peace or relax while walking along the sandy beach or snorkeling among the rocks. 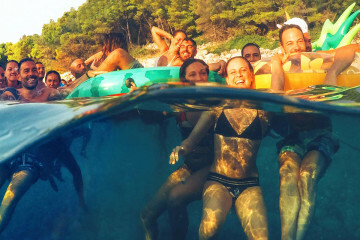 If you like the idea of a night in town, you can also go ashore for a party on the beach in the famous "Kamenice", nearby the town of Komiza, and "Grandovac", nearby the town of Vis. After breakfast, we leave for a nice sailing trip towards the island of Bisevo, about 4 miles south of Komiza. The main attractions of this little but super beautiful island are the beaches of fine sand and the Blue Cave, located on the eastern side of the island, in the bay of Balun. A visit to the cave before lunch is certainly an unmissable experience. We leave in the early morning from Bisevo and head west towards Brac, known as the island of harmony and beauty. 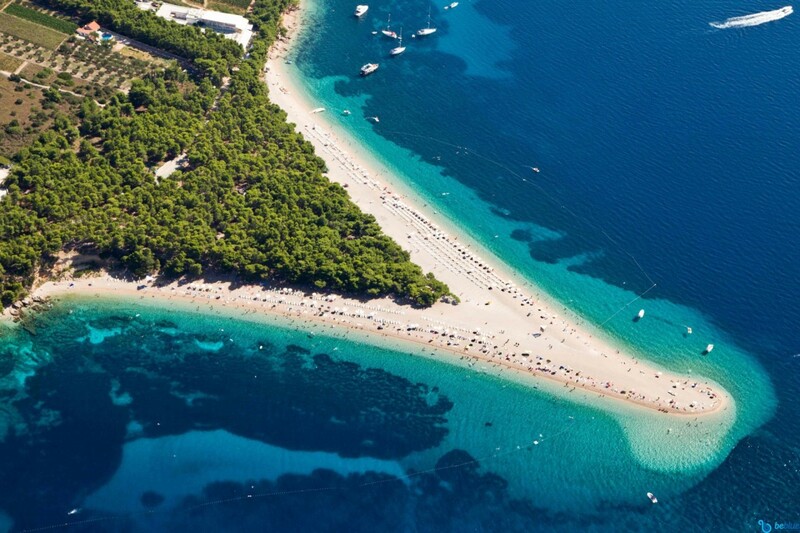 Unlike all the other islands in the Adriatic, it is famous for its luxuriant vegetation and exotic landscape; you won’t resist the charm of sailing in the canal in front of Zlatni Rat, to admire the spectacular isthmus of white sand in Bol and enjoy a dive in its turquoise waters, before going back to the Marina around 6 pm. A walk to find the last souvenirs and the last dinner of the holiday will conclude this last evening in Split. Disembarkation will take place at 10 am on the following morning, after breakfast. 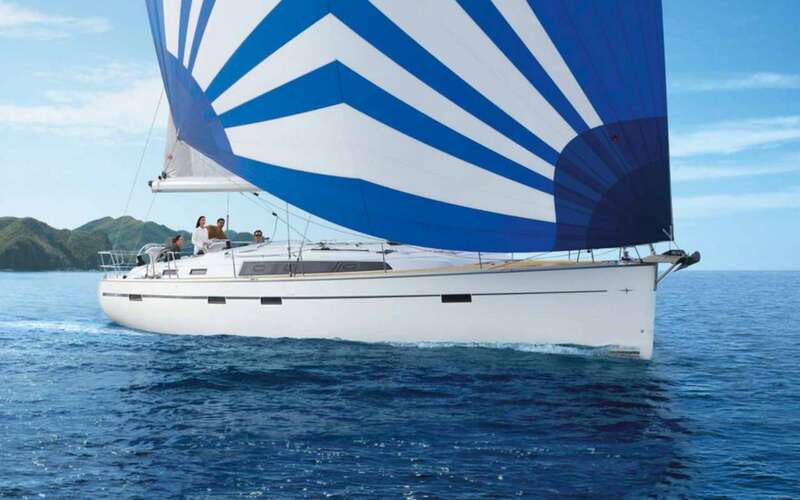 The itinerary might be subject to variations due to weather conditions, safety and technical evaluations of the Captain. This program ming is intended as indicative and non-binding. 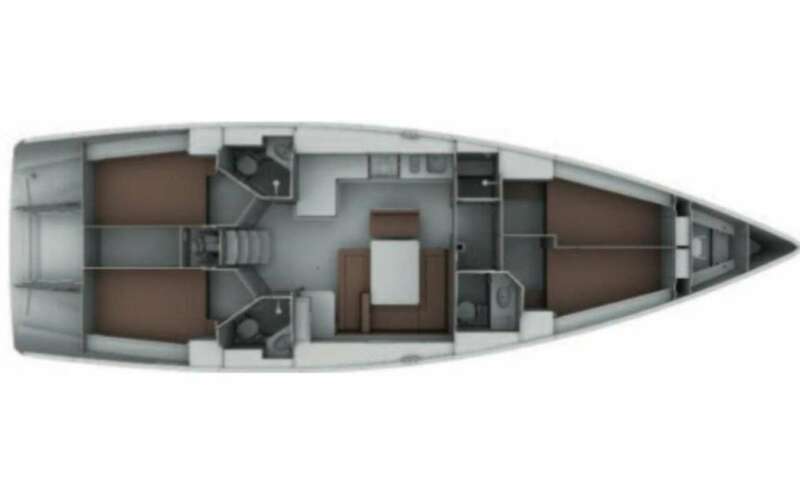 The premium class includes the boats from 46 to 55 feet with wide outdoor and indoor spaces for a superior comfort. 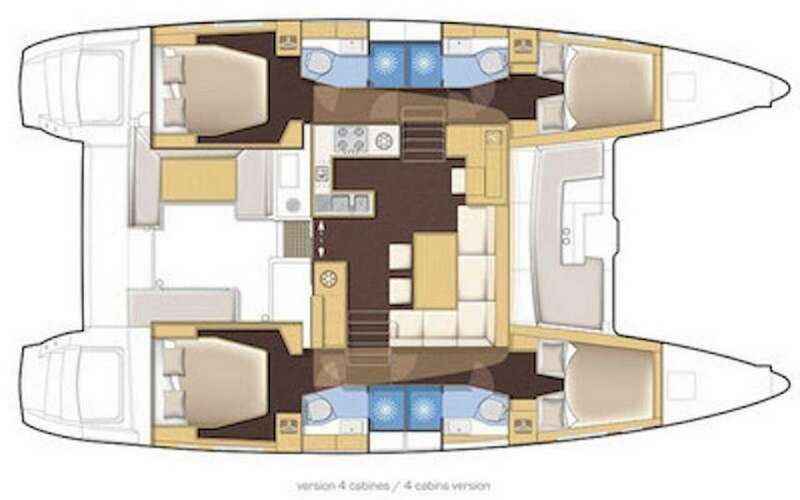 The boats are set up, according to the model, with 4 double cabins and 3 bathrooms, 5 double cabins and 3 bathrooms, 4 double cabins and 4 bathrooms. 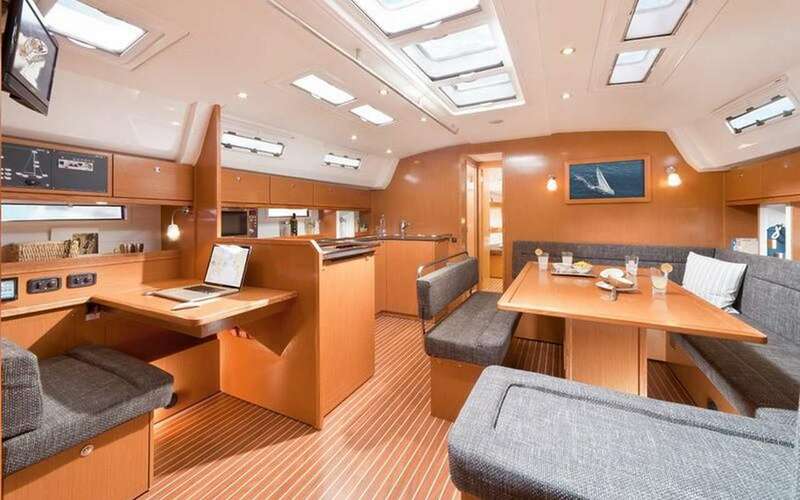 The catamaran class includes the catamarans from 40 to 44 feet in i lenght. 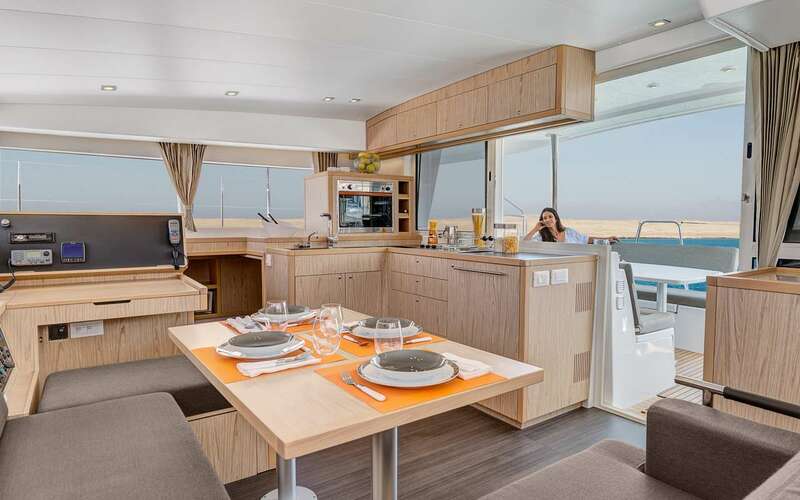 Selected for comfort level and equipped with wide sunbathing spaces the catamarans BeBlue are the perfect solution for comfotable navigations. 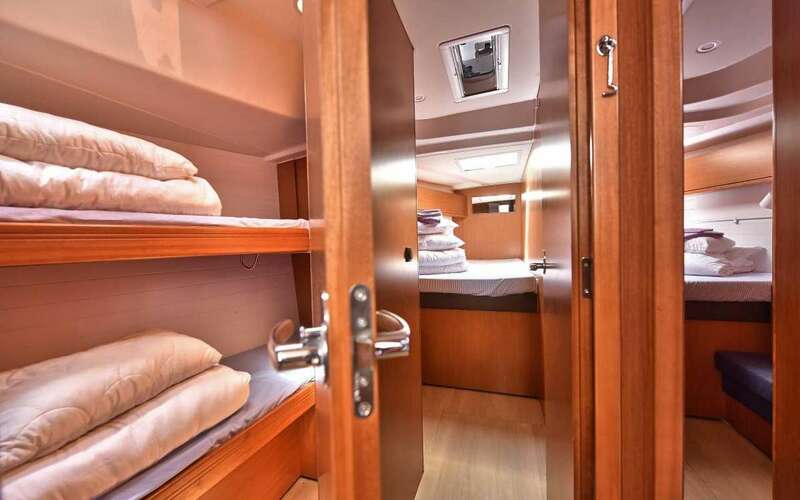 4 double cabins and 4 bathrooms assure guests the highest standard of the Circus fleet.